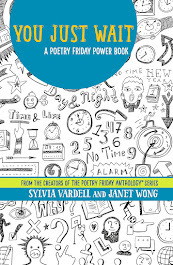 I’m excited to announce the publication of the FOURTH book in the Poetry Friday Anthology series! 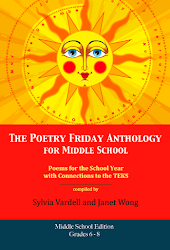 It’s The Poetry Friday Anthology for Celebrations (Teacher/Librarian Edition and Children’s Edition) compiled with the amazing Janet Wong. 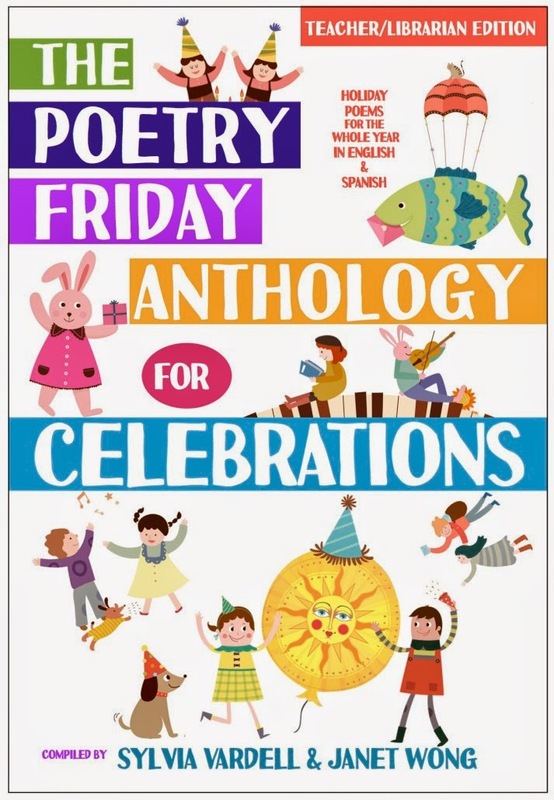 You’ll find poems for 156 holidays in English and Spanish, including: Random Acts of Kindness Week, Children’s Book Week, World Laughter Day, National Camping Month, International Literacy Day, Global Hand Washing Day, and more! 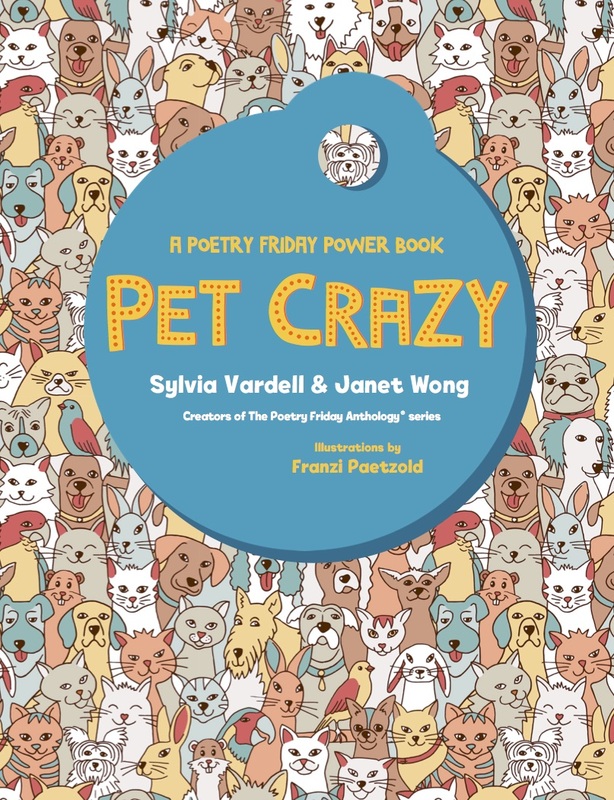 Poets include: Jack Prelutsky, J. Patrick Lewis, Joyce Sidman, Margarita Engle, Marilyn Singer, Nikki Grimes, Alma Flor Ada, F. Isabel Campoy, Ibtisam Barakat, Uma Krishnaswami, Francisco X. Alarcón, Linda Sue Park, Jane Yolen, Kenn Nesbitt, Jorge Argueta, Grace Lin, Joseph Bruchac, Douglas Florian, Laura Purdie Salas, Carmen T. Bernier-Grand, and 95 others. 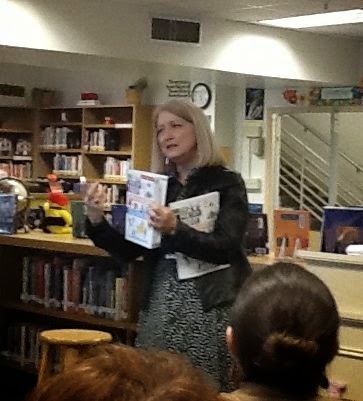 And did I mention that every poem is presented in both English AND Spanish? We are so excited to offer this additional access point for even more future poetry lovers! 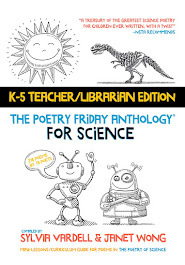 As usual, the Teacher/Librarian Edition contains "Take 5!" 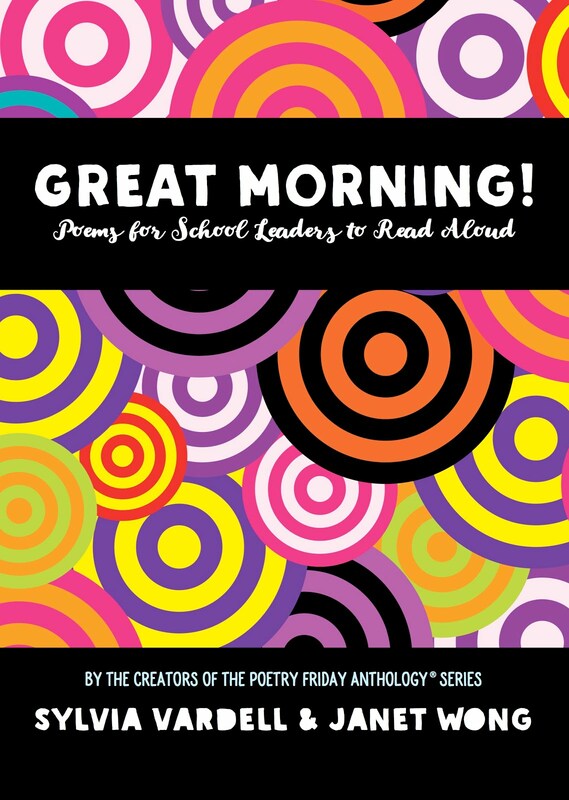 activities, but this time we include picture book pairings for every poem and extra tips for sharing, plus booklists, and (CCSS, TEKS, and NCSS) skills charts. We removed all that "adult stuff" from the Children's Edition and inserted illustrations. 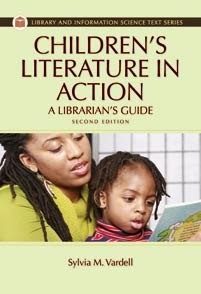 Both are available on Amazon and QEPBooks.com (best if you need to use a purchase order). 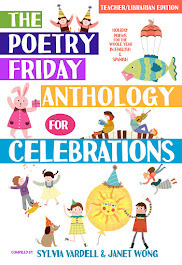 FYI: the Children's Book Council chose The Poetry Friday Anthology for Celebrations as one of its "Hot Off the Press" titles for March! We are so excited about this honor. 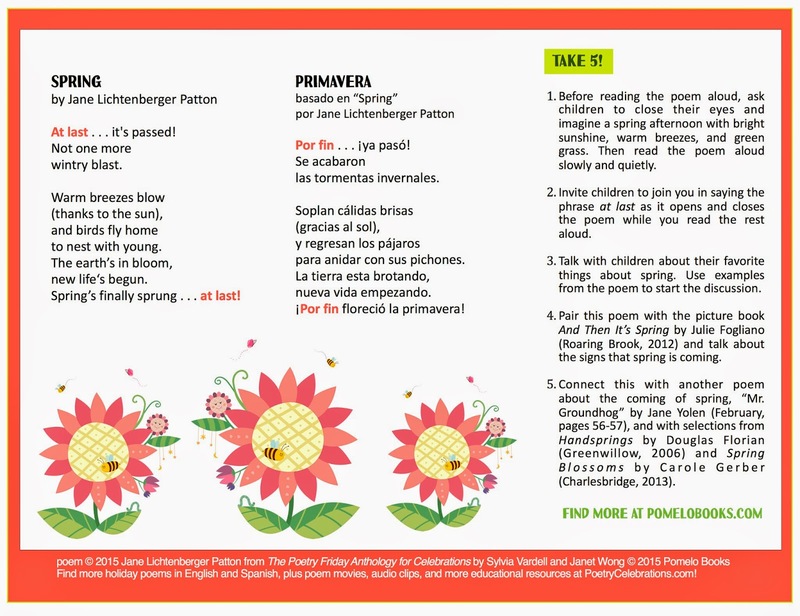 In honor of the first day of spring TODAY, here’s a poem from the Celebrations book along with the accompanying Take 5! activities. Thank you, Jane Lichtenberger Patton for sharing this gem. Enjoy! 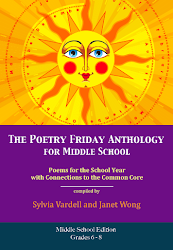 I’ll be featuring student-made videos based on MANY of the poems in the Celebrations book throughout National Poetry Month in April, so please swing by again then. Plus, we’ll have more info about our other online resources too! And for an opportunity to win a free copy of the Celebrations book, check out Janet Carey’s blog post here. 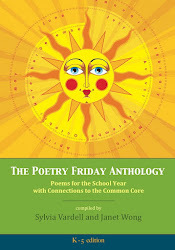 Meanwhile, don’t forget to join the Poetry Friday gathering where Catherine is hosting at Reading to the Core. Finally, this is my blog's 700th post since its beginning in 2006. Whoa! That feels good, too! This is such a rich resource, Sylvia! 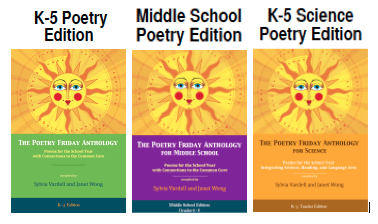 Thank you so much for all you do to to promote poetry! Your blog has always been one of my "go to" places for poetry. Congrats on your 700th post! So glad I got to meet you at NCTE and see your tights with poems. Looking forward to this new book. It's been a busy week at school, but in the midst of it, I received my Celebrations! It's a wonderful addition to all the others. Congratulations on 700 posts! Hey, thank you all for stopping by to comment and for your kind words about my #700 milestone AND the new Celebrations book! It's you readers and this lovely poetry community that keep me going. We're in this together! Congrats on 700 posts...but mostly seven hundred thank yous for all you do for poetry and poets! Congrats on 700 posts. And it's a fabulous book. Love the Spring poem. Congratulations on the new PF Anthology and on your 700th post! Wow! Looking forward to the poem videos next month :)! Thank you all for the nod to my 700 posts, but most of all, thank you for celebrating our marvelous CELEBRATIONS book together! 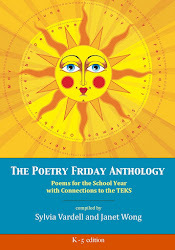 I have yet to get my hands on the Poetry Friday anthologies. But they look great! Hope I can catch up with these titles soonest. Thanks for putting everything together. I'm a week and a half late with congratulations on your 700th blog post. I evidently left a comment in my head only! Well, CONGRATS! 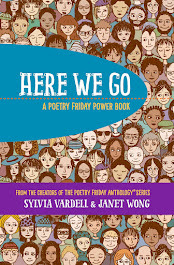 And huge kudos to you and Janet for another stellar resource - this one is chock-full of poetry magic, presented in such inviting ways!